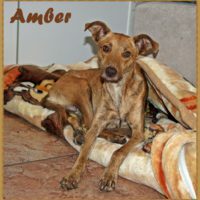 Not only is Amber new to our Shelter, she is new to Gauteng. We received a call from someone in Rustenburg who was unable to find any Shelter in the area who would take this gorgeous girl with her 7 newborn puppies. 4Paws Animal Shelter cannot resist a needy cause, no matter how far we have to travel, so off we went and collected the new mom with her babies. We are delighted to announce that ALL the puppies have been adopted so please keep an eye on our Success Stories for updates of this little gang!